PlayStation Cross-play of Fortnite Battle Royale is now available! Get to know about cross-play with Xbox and Nintendo Switch and coming account-merging feature. Playstation Cross-Play Available Across All-Platforms! 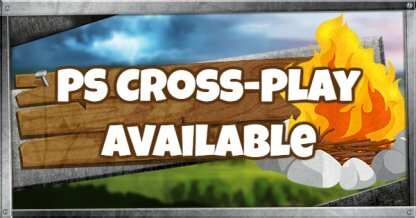 Playstation Cross-Play Available Across All Platforms! Cross-Play With All Platform Available! According to the breaking news from Playstation blog posting, Cross-Play Beta Launched on PS4 already, where PS4 players can play with all the available platform in Fortnite. PS4 players have not been able to cross-play with Xbox and Nintendo Switch till this great news comes. You can Now play with all the Fortnite players. Enjoy! If you have extra accounts on multiple console platforms, You would be able to merge them into one. With Account-merging feature, you would be able to Share In-game Items, Currency and progress across all the available platforms. You can continue playing Fortnite wherever you are! According to Fortnite Official Twitter Posting, they are planning to have account-merging feature in November, 2018. Wait for further information, and stay tuned! 2) Enabling unlinking a console from one Fortnite account, and relinking to another Fortnite account. Coming in a few days.